At Reflex we take pride in our ability to meet our customers needs. One way we do this is with our Suggestions Form on our web page. This Form allows customers to make suggestions for future products and new features for existing products. We received just such a request a few months ago from Karl Frederick. I am very interested in your Reflex SR10 model, though I am just wondering one thing. What is the width of the quick release plate you use on this model? I am looking to be able to disconnect the camera from the rig with the quick release plate and change the battery as necessary without having to unscrew the actual plate from the camera. I've encountered problems with other rigs and their quick release plates where the plate was simply just too wide, therefore I could not get to the battery port with ease. Currently, I use a Canon T2i. We had never encountered this question previously with our rigs nor had we really given it much thought. We typically use battery grips on our cameras which allows the batteries to be changed without even removing the camera from the rig. We suggested this to Karl but also took a look at our quick release plates to see if this was currently possible, knowing not everyone wants the extra bulk from a battery grip. 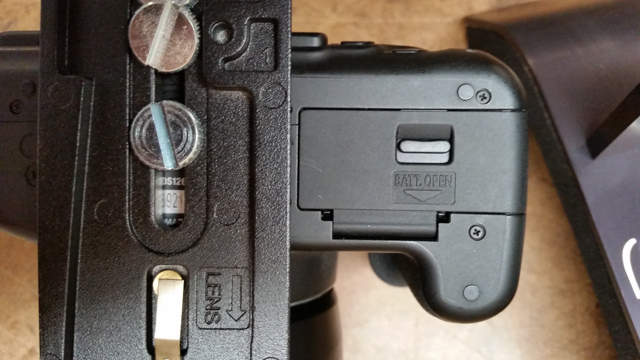 With our standard Giottos MH621 the battery door on Canon T2i/T3i would not open. However, we remembered that our Manfrotto 504 tripods have a QR plate that is skinnier, allowing the battery door to be opened. We did some research and discovered that although Manfrotto didn't sell a quick release system using that plate, they did sell a base plate which did, the Manfrotto Sympla Fixed Plate. Since it is designed to use standard 15mm rail, it would work fine the rest of our rig and would allow Karl to access the battery door with the plate attached. We subtracted the Reflex parts no longer needed from our SR5 rig and included the Sympla plate. After a few quick tests, we shipped the rig to Karl. We hadn’t heard anything from Karl until we received this email from him around the 4th of July. Shot completely on your system. Thanks for such an awesome product. Hope you enjoy and had a swell 4th of July weekend! Karl is a talented vidographer and his video really highlights how Reflex rigs can help you shoot a top notch wedding video. If you have suggestions for a feature you would like to see in one of our rigs be sure to send it to us and we will do our best to meet your needs.